Office 365 is your familiar Office apps hosted in the cloud. You are no longer limited to just accessing and editing files on your computer, but working on the same file on your mobile devices while on the move. Be always up-to-date with automatic updates of the full Office desktop applications. Synchronise your files while working offline and have it available online the minute you have an Internet connection. Be always up-to-date with automatic updates of the full Office desktop applications so you'll never have to buy a new version of Office again. Install Office on up to 5 PCs or Macs, 5 tablets and 5 phones with every license. Access and make edits on the same document, whether you are in the office, at home or on the move. 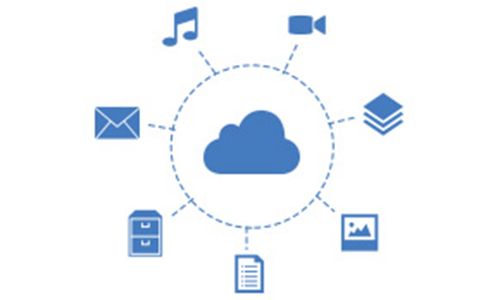 1TB of space in the cloud to store, backup and easily share files. Files are accessible from almost any device. Large, 50GB mailbox delivers message up to 25MB per mail. 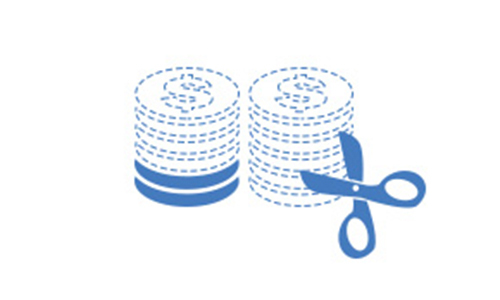 Fixed monthly cost and pay for only what you need by simply buying additional licenses when you have a new user. Flexibility in selecting different plans to suit the needs and price points for each user in your organisation. View and edit documents in real time with your colleagues. Easily share files or folders and set users’ access rights for secure collaboration. Get peace of mind knowing your services are available with 99.9% guaranteed uptime service level agreement. Automatic data backups as well as software and feature updates, which means you are always on the latest version of Office. The same file in your laptop can be accessed from any computer, tablet or phone whether you are online or offline. Edit Microsoft Word, Powerpoint, Excel files on the web, iOS and Android devices. Files will be synchronised to online the minute you have an Internet connection. The offer for this app includes a 12-month contract for up to 300 users per plan. For users always connected online. Intranet site for your teams with customisable security settings. For users on the move, in and out of office. For users on the move and require high level of collaboration. Yes, you need a domain name to use Office 365. If you do not have a domain name, you can contact us to buy one. Is Internet access required all the time when I use Office 365? Internet access is required to install and activate all Office 365 plans and to manage your subscription account. 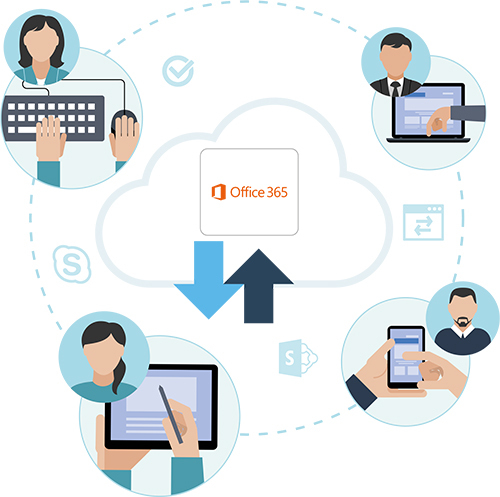 Internet connectivity is also required to access Office 365 cloud productivity services, including email, conferencing, IT management, and other services. 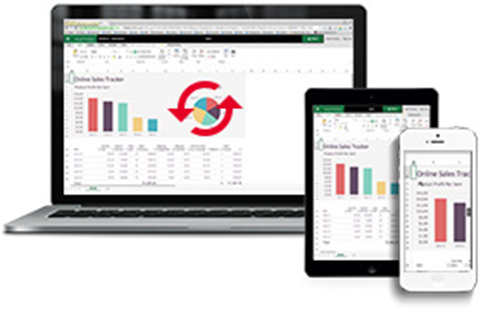 Office 365 Business and Business Premium plans include the desktop version of Office. One of the benefits of having the desktop version of Office applications is that you can work offline and have the confidence that the next time you connect to the Internet, your work will automatically sync to OneDrive, so you never have to worry about your documents being up to date. Yes, you can mix and match Office 365 plans. For example, you can purchase 100 Business Premium, 100 Business and 50 Business Essentials licenses. However, please note that there is a license limitation at the plan level. The Office 365 Business, Business Essentials, and Business Premium plans each have a limit of 300 users. If you require more than 300 users on each plan, please contact us for assistance. You can refer to the help guide to get started. Alternatively, you can contact us to get started. What are the system requirements for using Office 365? Office 365 is compatible with Windows 8.1, Windows 8, Windows 7, Windows Server 2008 R2, Windows Server 2012, Mac OS X 10.6 or later, or Android KitKat 4.4. It does not run on Windows XP or Vista. For more system requirements, click here. Office 365 or Google Apps - which one should you choose? What is GDPR and how does it affect Singapore SMEs?